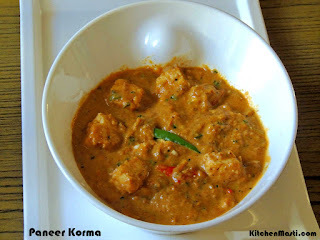 Today I am posting paneer korma and I am sure all the paneer lovers will have fun in trying this exquisite and creamy paneer recipe. The success of any paneer recipe mainly lies in the texture of paneer so you should be aware of the quality of the paneer while adding to any recipe. Here, in this recipe we prepare a rich gravy using cashew, poppy seeds, coconut and mix paneer along with other spicy masalas. I can assure you that this korma goes on well with Puris, naan and so it holds a special place in the menu. How To Prepare Paneer Korma. 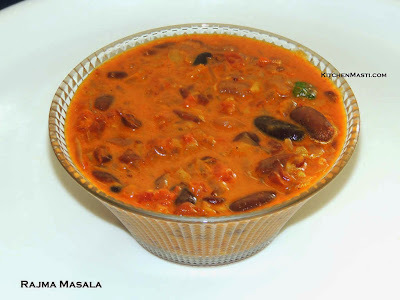 The time required to prepare this dish is around 30 minutes and the quantity mentioned here is enough for 4 servings. Sugar - 1/2 tsp ( optional ). Coconut scrapings - 1/4 cup. Butter or oil - 2 tbsp. Kasuri methi - 1 tsp. 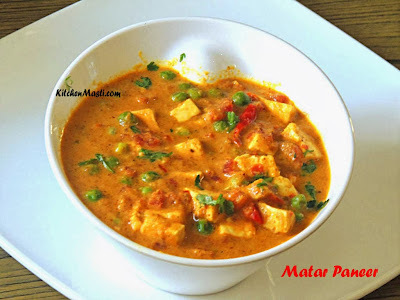 Method To Make Paneer Korma . Heat a pan with 1 tbsp of butter. Add chopped paneer pieces and fry for around 5 minutes. Immerse the paneer in luke warm water and keep it aside. Heat a pan with butter and oil mixed together. Add chopped onions and fry till the onions turn translucent. Now add the chopped tomatoes and fry till they are are mushy. Mix in turmeric powder, red chilli powder, garam masala powder, bay leaf, salt, coriander powder and slit green chillis. Add ginger - garlic paste and mix it under a medium flame. Soak cashew and poppy seeds in milk for around 30 minutes. Later on, grind this along with coconut scrapings adding little water. Add this paste to the boiling gravy. 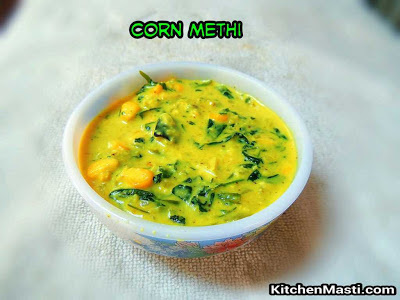 Now mix in powdered kasuri methi, lemon juice and milk, thereby adjusting the consistency of the gravy. Mix in cream and paneer pieces. Transfer this on to the serving bowl. Your rich and luscious paneer kurma is ready to be served !!!. Instead of frying paneer pieces, you can directly add it to the gravy. You can add butter at the finishing stage but it is optional. Coriander leaves can be substituted for kasuri methi. Chopped garlic and ginger can be replaced with its paste. Remove the bay leaf from the gravy before serving. Add sugar to the gravy ( optional ) only at the finishing stage.